Are you working in the chaotic environment? Tired of managing your customer data scattered across multiple platforms? The answer to these questions is often YES, as businesses today uses independent systems to manage all their data. One such completely disconnected system that is quite common in today’s eCommerce world is CRM and Magento. Combining these two separate systems can help you to streamline your business process. So here is our Magento Vtiger Connector to connect your Magento store and Vtiger CRM. No more dual manual work, bidirectional sync of Products, Product Attributes, Categories, Customers, Cart data, Invoice and Sales Order data between your Magento store and Vtiger CRM. Create or edit any information in one platform, the connector will automatically mirror the changes on the other. New to our connector, need to sync all your existing data? No problem, sync all your existing data in just one go using the complete sync option. Now consider that you’re altering one your of existing data, or adding some more new records in CRM or Magento. How can we sync this, every time a manual sync? No, sync all the new or changed information on the fly with On the go transfer or On save transfer. Once added or changed the necessary info, click on save the connector will automatically update the same on the other. Additionally, you can also sync at periodic intervals with scheduled sync. 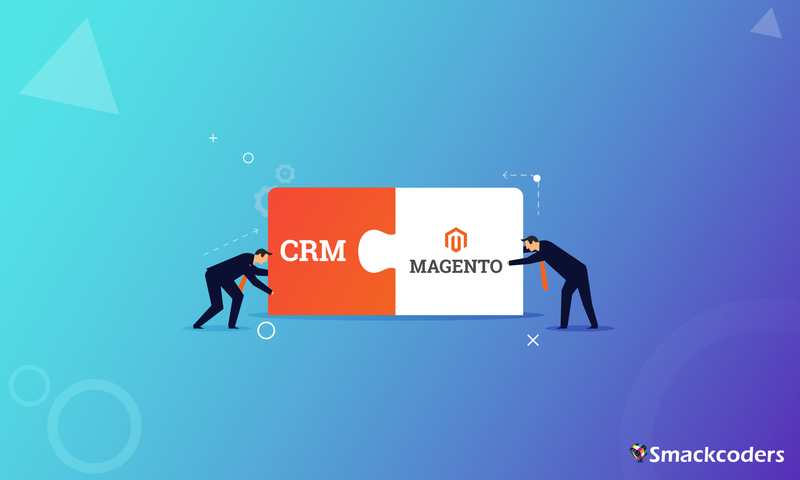 When you no longer need to sync all your Magento Store data to CRM, just use the selective sync to sync only particular data to your Vtiger CRM. With this, you can efficiently manage all your data more accurate and up-to-date without any manual intervention. We would love to hear from you on how this integration works for your business. Drop us a line at [email protected] or in the comments below.